Here are my 3 Blocks for February. What am I doing wrong since my photo does not show? Nothing, now I can see it. 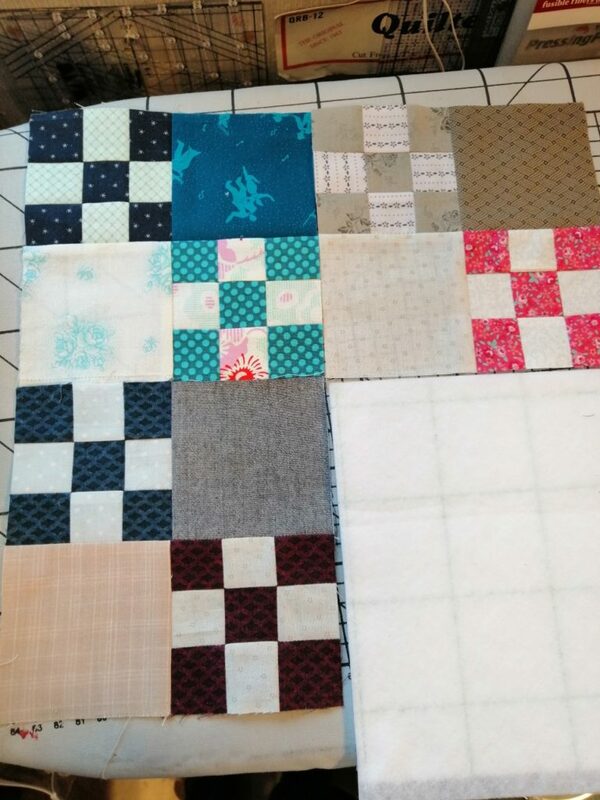 Correct me if I read the guidelines wrong but I thought the dark 4 1/2″ squares were supposed tp look almost like black from a distance?and not just a eich medium color? Thanks. Then I do another one. I thought that it looked dark compared to the light. Vivi, for the 9-patch units, “light” and “dark” can be relative to one another, but for the plain squares, they should be more universally light and VERY dark.